The internet has changed almost every aspect of our life. However, to the majority of the people, they neither understand nor appreciate what happens in the background to make the web what it is. One of the things that make the web an easy place to find what you are looking for is the addressing system. To maintain order, there is a precise manner in which this is done, and it is the responsibility of the DNS server. 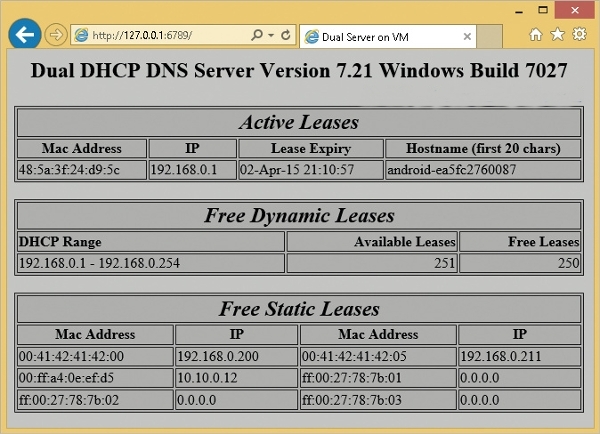 Dual DHCP DNS server is an open source software dedicated to the DNS service as well as an optional role of DHCP. The software has a version for Windows and Linux and thus giving a larger group of people. Dual DNS is developed by a community of expert and largely depend on donations. 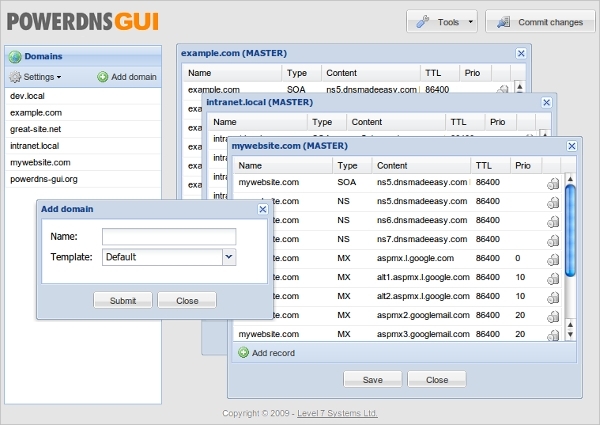 MaraDNS is an open source DNS server that is lightweight, secure, easy to set up and remarkably small. These are the features that make it very loved in this category. The program implements domain name system which is very crucial to the accessing of the internet and runs on clones of UNIX and Windows. PowerDNS is an open source and actually among the first to offer this kind of service. The software takes pride of a great level of services as well as support which is a very rare thing, especially for freeware. The products offered include dnsdist, precursor, and Authoritative Server all of which are open source. DNS servers play an important role when it comes to making the web a good place. This being the case, it is thus important to have these soft wares in virtually all the platforms so as to ensure that everyone no matters their platform is able to enjoy their services at all times. haneWIN DNS Server is a tool that has the ability to resolve DNS names across all variants of the Windows operating systems. The good part about haneWIN DNS Server is that it can be implemented both as the primary or secondary name server and also support dynamic DNS update. 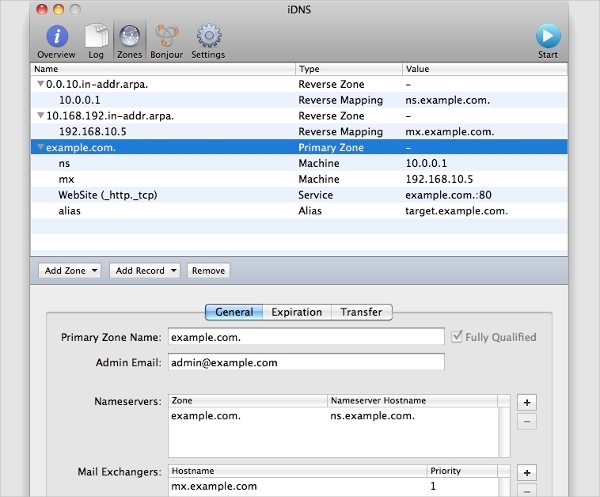 iDNS is a configuration tool available for the Mac users and it simplifies the process of setting up of your DNS server. It uses BIND which is the default DNS server installed in all Mac machines. The server is easy to use and more so to those that have an experience with Mac OS X server. 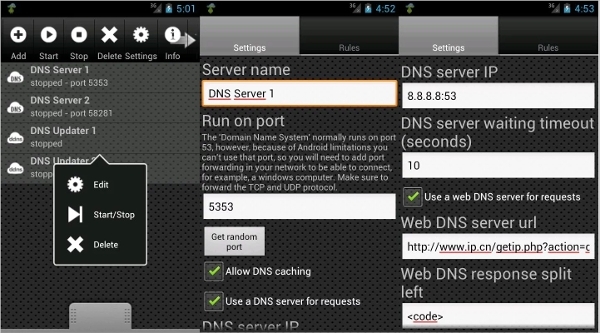 DNS Server is an Android App that enables you to run all your DNS requests right from your smartphone. This places a lot of control as well as power on your hands and eliminates the need to have this on your computer. With this app, you can set rules when need be. 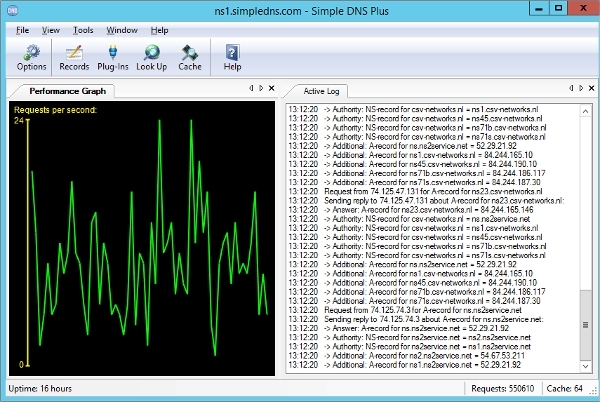 Simple DNS Plus is a DNS server that is very powerful yet surprisingly easy and convenient to use. As a matter of fact, this plus reliability are some of the reasons it has attracted so many users and become a favorite. 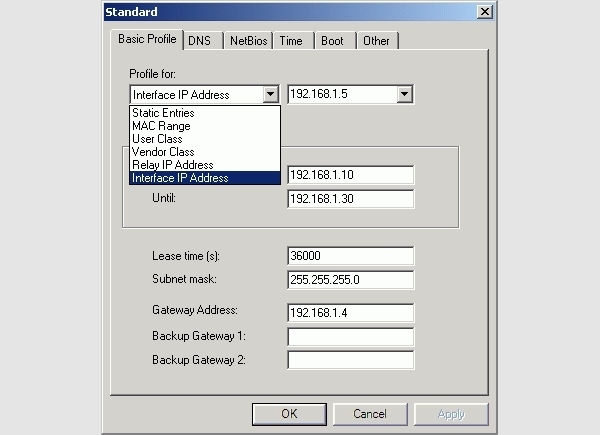 Especially with novice users, Simple DNS Plus offers the ability to quickly set it up. What is a DNS Server Software? The operations of the web remains a thing that remains a mystery to the majority of the people, and even some have no idea of what happens in the background. One of this magic is the DNS (Domain Name Service) essentially, the web files and all related resources are stored in computers and the only accurate way to establish these computers is via their IP addresses. However, it would be very difficult to remember these numbers and also considering that they can change from time to time for various reasons. This is where a DNS server comes in to resolve this. The internet has been one of the biggest revolutions that witnessed by the world. It has had effects in nearly all sectors, and it is appearing as something that we perhaps cannot live without. However, a fact is that without DNS server, the web could be disorganized and inaccessible.